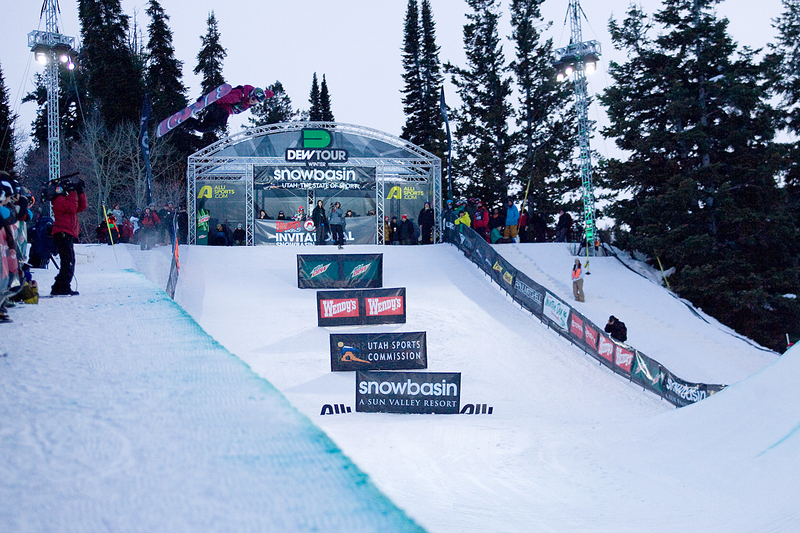 By: Nick Lipton – The Wendy's Invitational Female Superpipe Final attracted a crowd of almost 14,000. 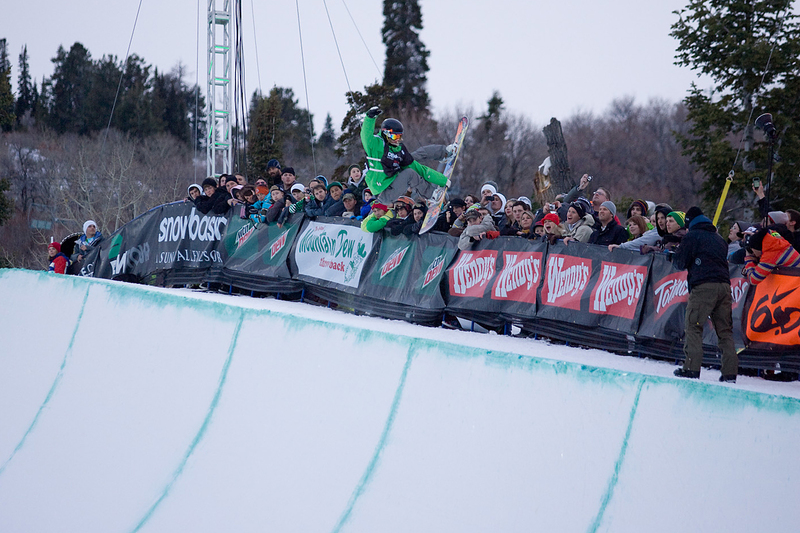 This huge, and lucky audience watched the lights dance as some of the best riding in women's snowboarding was put on display. 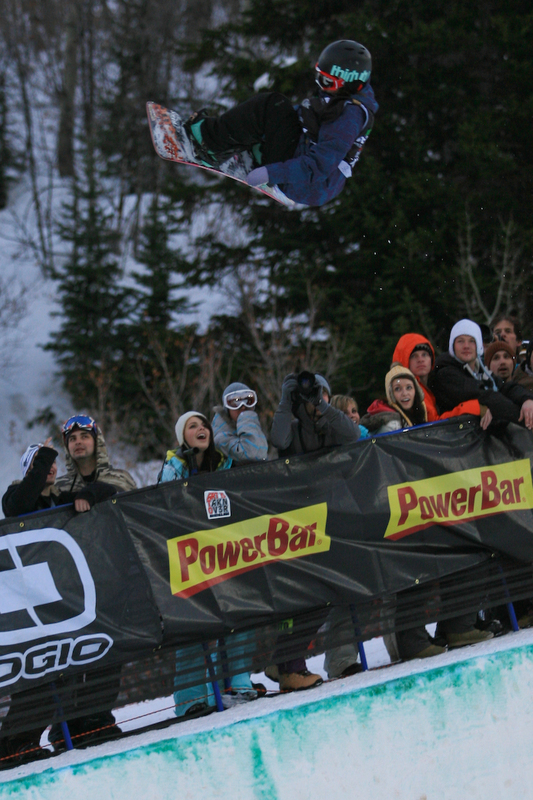 While all six of the riders should fly home chin up and chest out, nobody could match the new Pipe Queen of Snowbasin, Elena Hight. 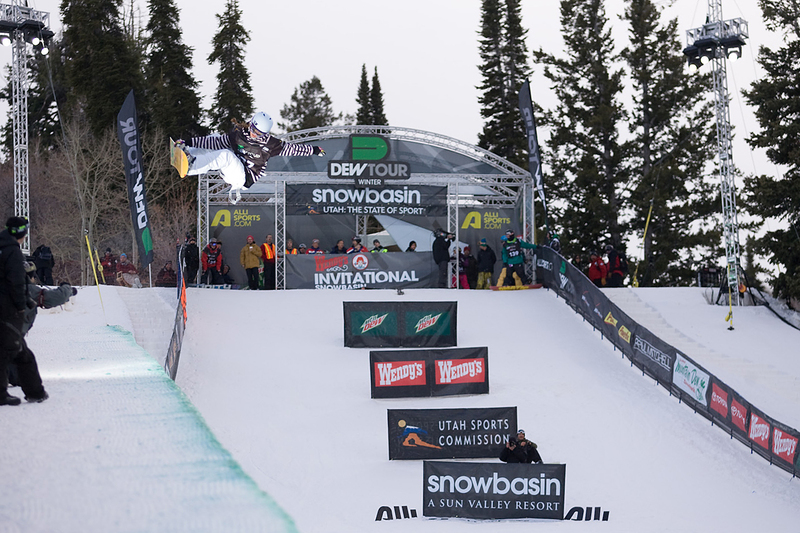 With electricity in the air and the record breaking crowd cheering her on she balled up and out spun the pack with a flawless first run containing back-to-back 720s that secured her the top spot. But while Elena won the day, the crowd felt Kaitlyn Farrington deserved a little more than her 2nd place score earning an 88.25. 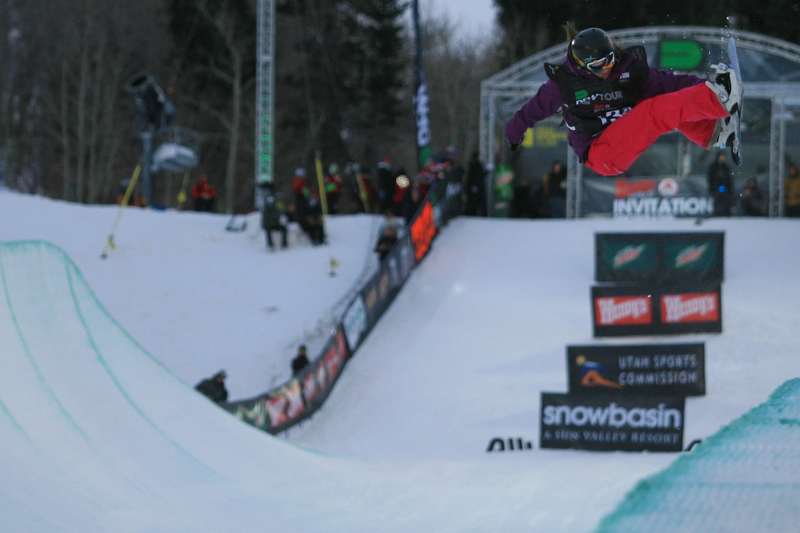 Kaitlyn rode with authority, punishing her board with heavy tweaks and a ridiculous array of spins. The Farrington tornado began with some 540s, one with crazy cork, 720s and even a freaking cab 900. 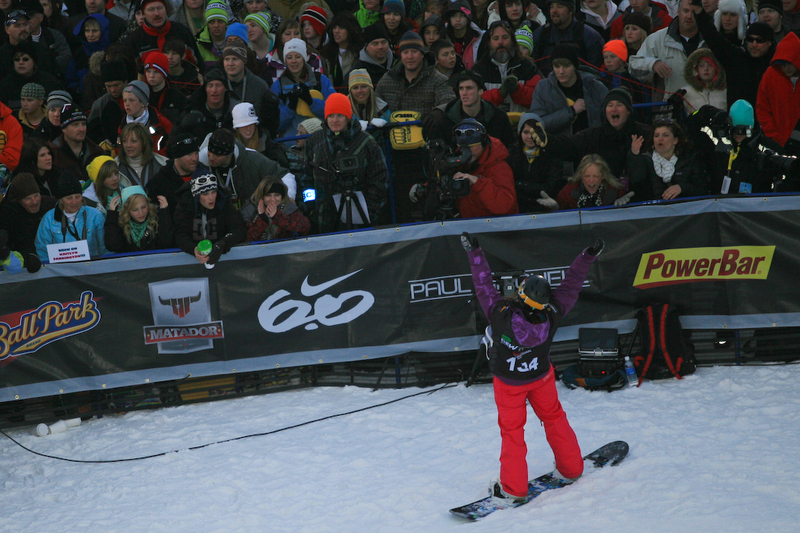 The full run and big spins got the crowd roaring, but roars quickly turned to boos when her score was announced. 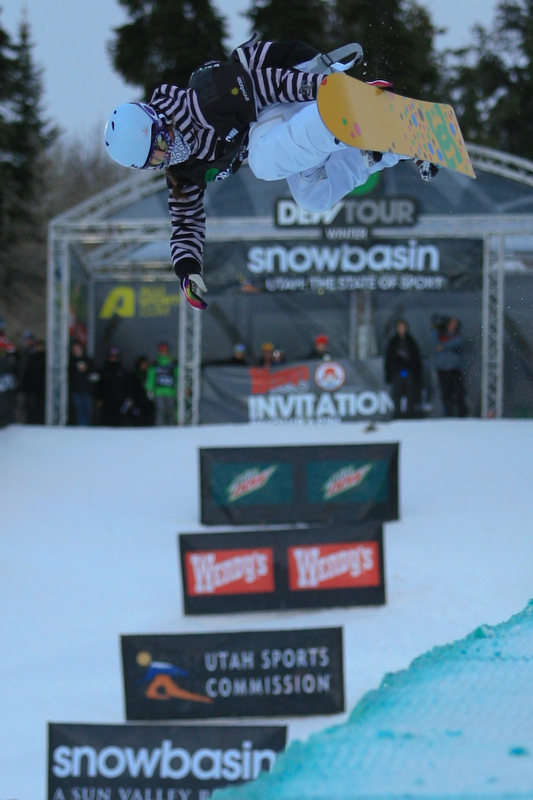 Either way, Kaitlyn left Snowbasin with both a smile on her face and a 2nd place trophy in her backpack. 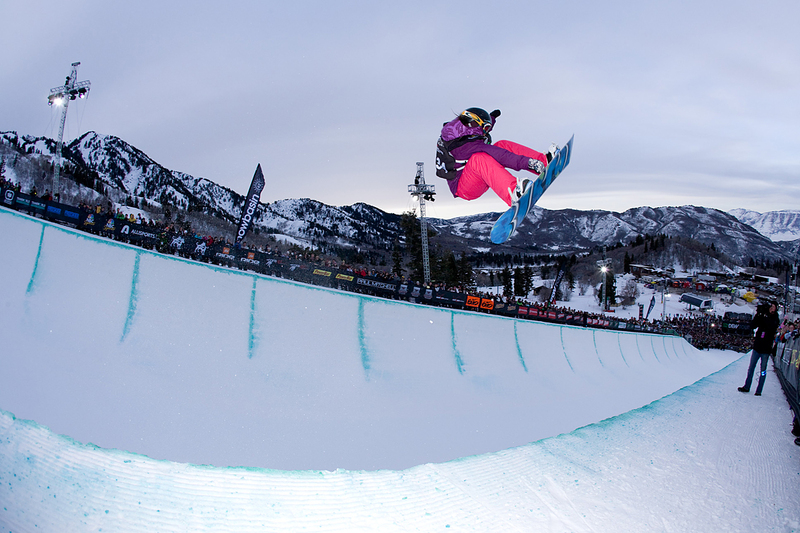 Women’s Snowboard Superpipe Finals at Snowbasin from AlliSports on Vimeo. The other lady to podium could have taken the top spot, but falls left this Spanish superstar in 3rd place. Queralt Castellet, the Spanish Olympian, pops 540s, 720s and 900s higher than her competition pops period. The contest was Queralt's to win, but a slight slip on a first run 900 and a slam on an unexpected flipped out 720 were too much for the judges to ignore. 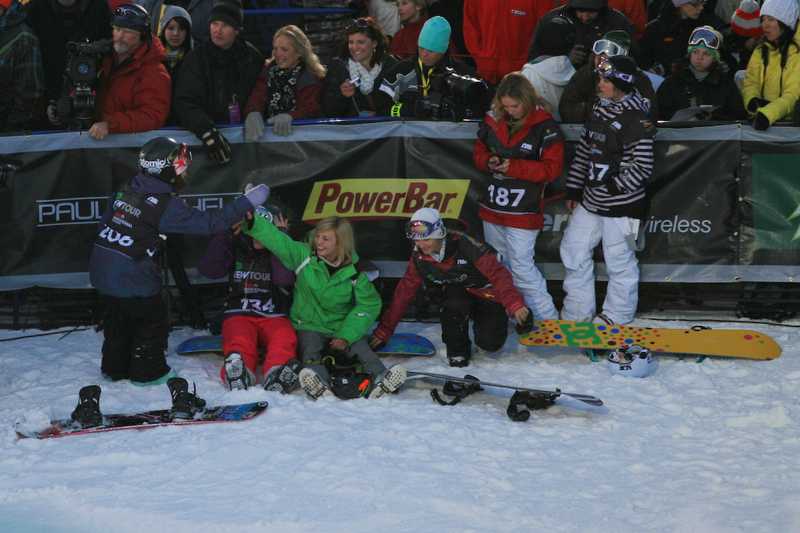 Sitting below the podium Kelly Marren followed by Lizzy Beerman and Jamie Anderson earned 4th, 5th and 6th places respectively. 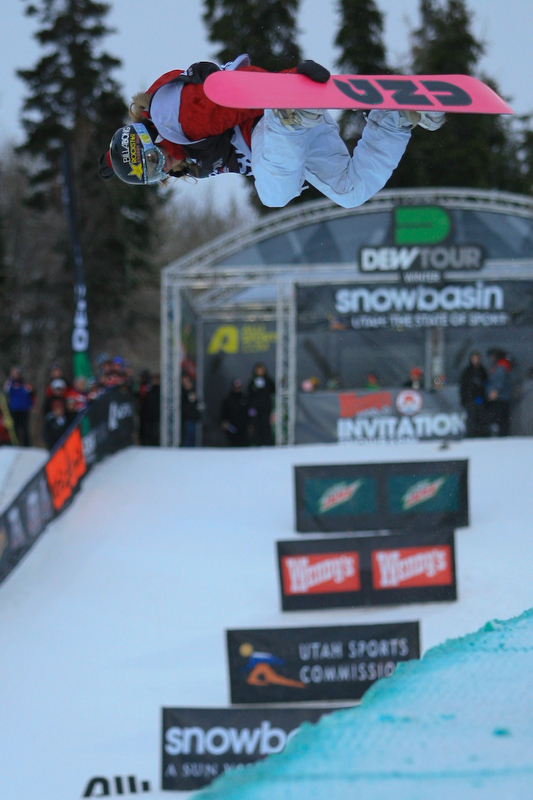 Kelly hyped the crowd with a 900, but one big trick wasn't enough to podium today. Kelly is a champ though, and you'll see this rap singing dance machine in the future. 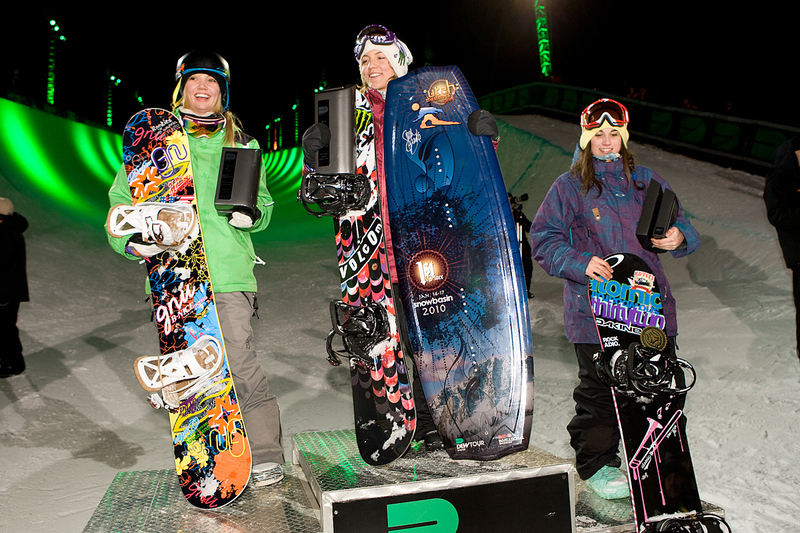 Lizzy Beerman brought smooth back-to-back 540s to the Final, but couldn't stomp her 720 in the end. 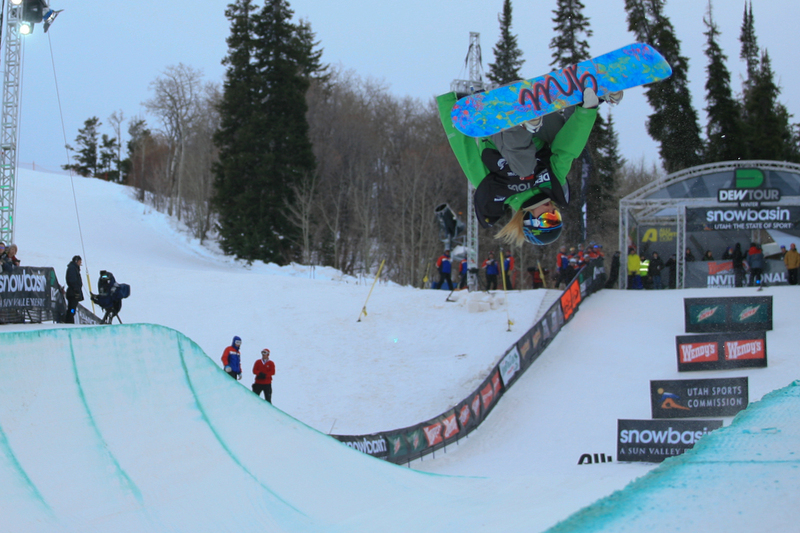 Then there was Jamie Anderson, the Queen of Slopestyle, who is trying to prove she can also play in the pipe. While she left the bottom girl in the Final, she still made it to the Final and with back to back 540s already in her arsenal she could be a threat to the tour's leaders soon enough. With only one tour stop left in Mount Snow, the leader board is too close to predict a Dew Cup Champion just yet. 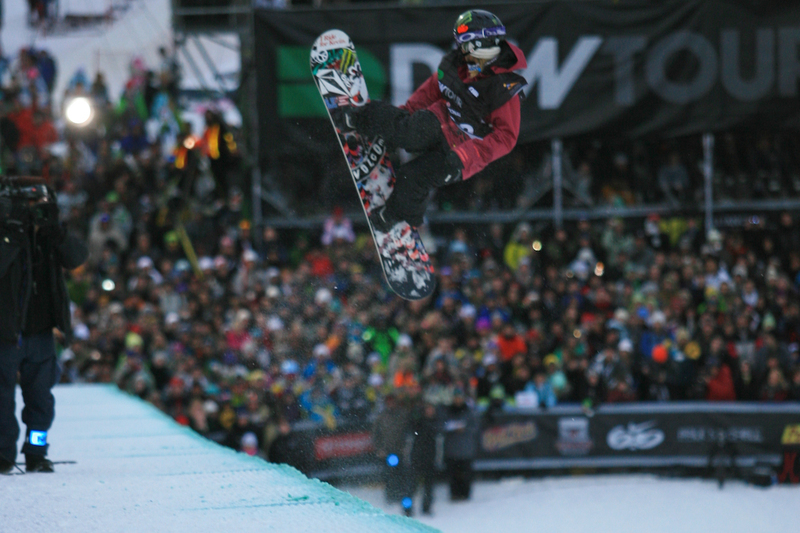 With Queralt unsure if she'll be able to compete since the Spanish Olympic team may be in Canada already and the rest of the girls dealing with a Grand Prix and the X-games between now and Vermont, any one of these top ladies could end up raising the prestigious Dew Cup above their heads.